The most important thing to do before starting is to find yourself a "free" week...no friends coming for dinner, no invitations or visits, no appointments. Also, at work it should be a stress-free week, if there is such a thing. The best way to do this treatment is to peacefully stay at home where you can focus only on yourself and the cure. - I couldn't stay at home though and it took me month to find the right week! There was always something getting in the way. Finally I chose the week when my hubby would not be home so his good cooking would not tempt me and his eating would not disturb me. This made it so much easier, I can tell you that! 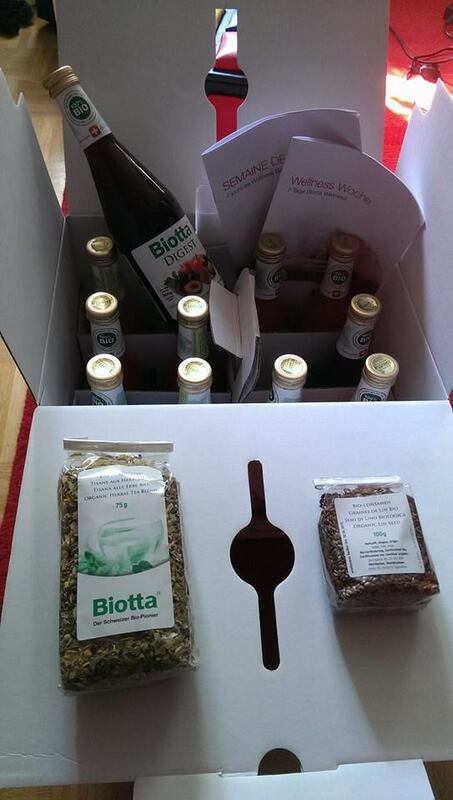 Biotta Cure Day 7 The February Winter Blues Are Over!